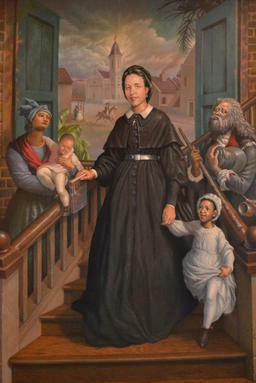 In this piece, the reader will be told about Henriette Delille, what she did, why she is important, and why she is a candidate for sainthood. Date used for Birth. A baptismal certificate has not been found. The theologians who studied the positio accepted that she must have been baptized since she received other sacraments. Also that Henriette could have had the baptism of desire. This information, Henriette gave birth to two sons who died very young, was found in funeral records in 2004. The theologians explained that this was within acceptable limits because Henriette had not yet made her Confirmation and her life thereafter showed heroic virtue. in touch with the Sisters.